LBS solution elevate your Initiative! We have ventured in Location Based Services to provide tracking, monitoring, surveillance & navigation services for dynamic assets like private vehicles, transport vehicles & movable assets. It also assists to individuals to locate resources, whenever & wherever they are dynamically located. It supports location-enhanced services for both consumers and the enterprise market, services that offer guidance and convenience, provide entertainment and security, enable commerce, and build community. 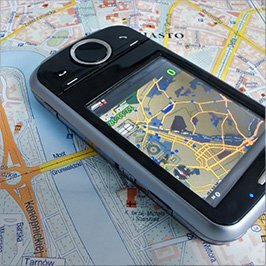 GPS and other position determination technologies make it possible to determine the position of a mobiles or asset. It’s possible to communicate with mobiles or asset through wireless communications capabilities and it’s possible to exploit mobile terminal / asset positions through geospatial processing technology. We have designed and evolved the solution for constructing and utilizing location based services in consumer, business and government applications. Our flagship product Le Repere for Vehicle Tracking & Monitoring, Corporate field staff monitoring & bunch of customised solutions is well penetrated in Transport, Govenment & Corporate sectors. PAM Technologies offers scalable services in web & mobile application development services across the globe. © Copyright 2019 - Pam Technologies Pvt. Ltd., India. All Rights Reserved.